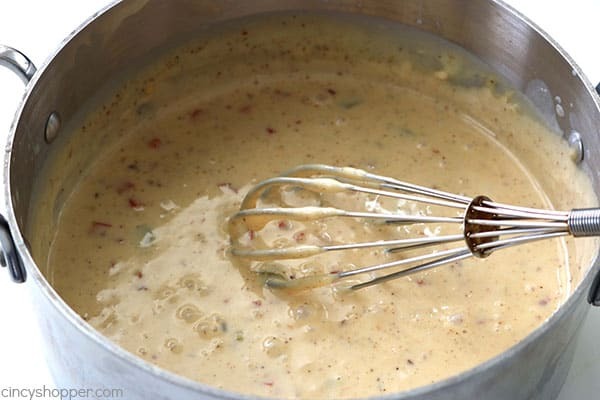 Our White Queso Dip Recipe is so simple to make with white American cheese from the deli. 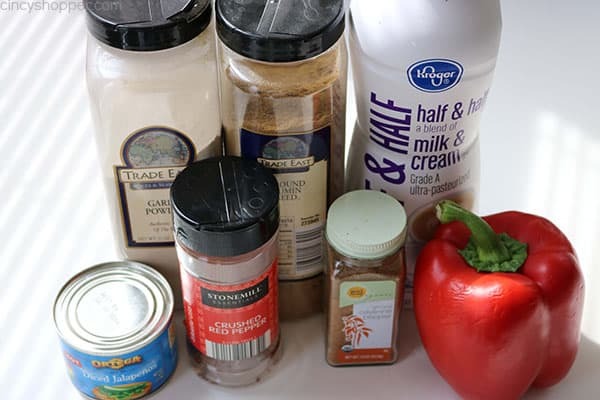 You will find it a bit spicy because we add in some jalapeños and red peppers. 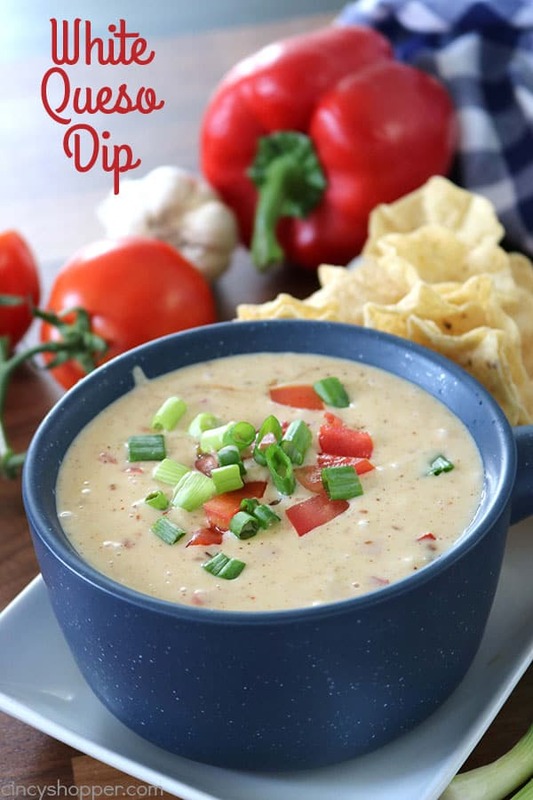 Top your dip off with some tomatoes and green onions for the perfect Mexican restaurant style white cheese dip. We have a very large family so pleasing everyone is so darn difficult. When we have taco night dinner at home, I know everyone is going to be happy. I whip up tacos with all the fixings and some refried beans. I then serve up chips and salsa. 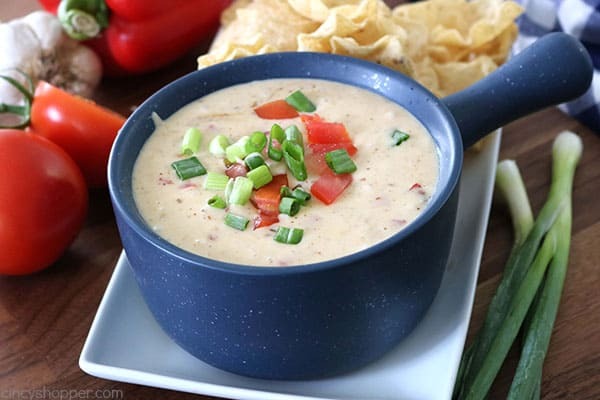 In the past, I have made our CopyCat Chili’s Queso Dip, everyone loves it! This past week on taco night, I mixed it up a bit. 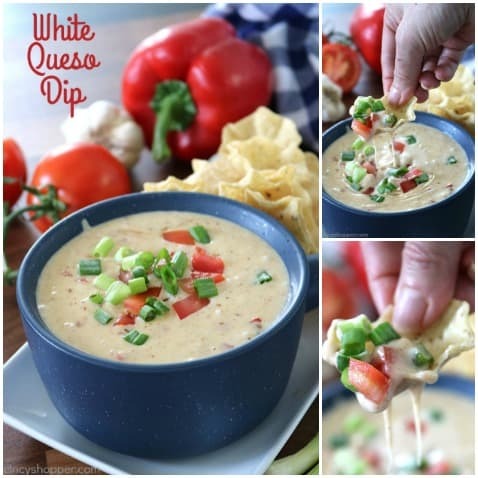 I made this delicious White Queso Dip. I must say that they all were excited because I didn’t just serve chips and salsa. They all were excited to see I made the white dip like they get when we hit our local Mexican restaurant. 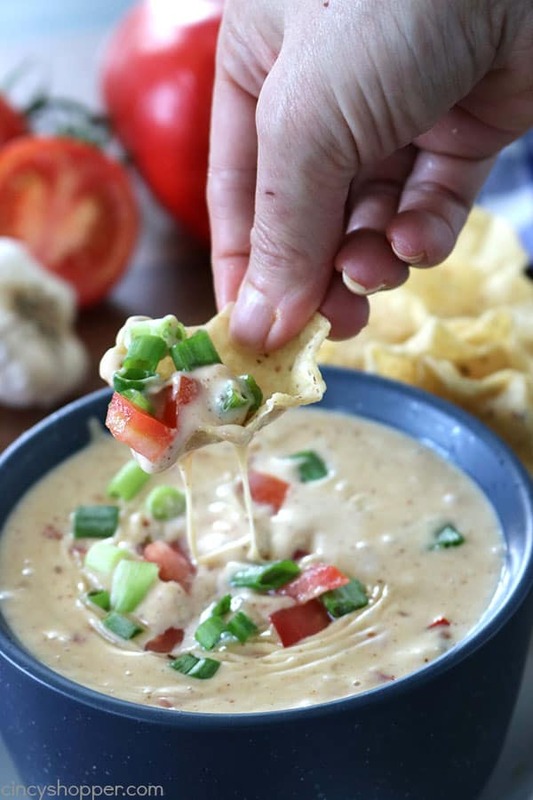 None of them can ever get enough of this cheesy dip. 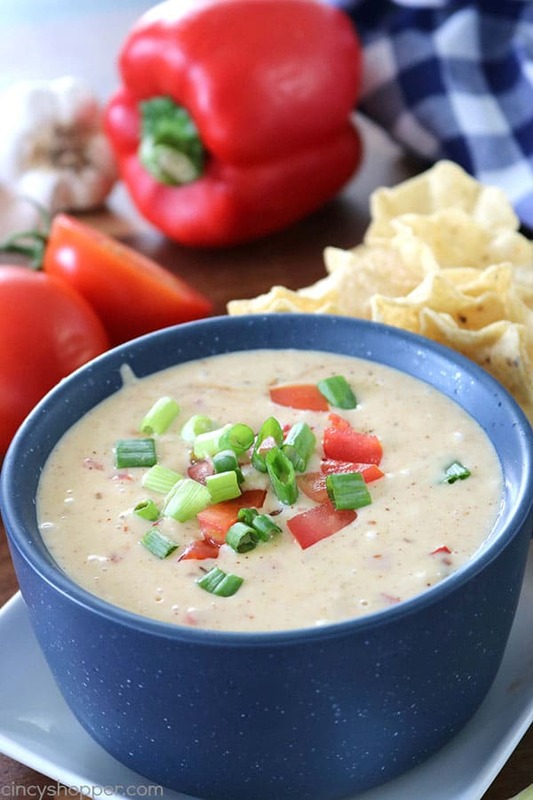 The dip has a little kick to it. I thought it was just right. Not overly spicy but not just a boring and bland white queso. I served it with some chips. 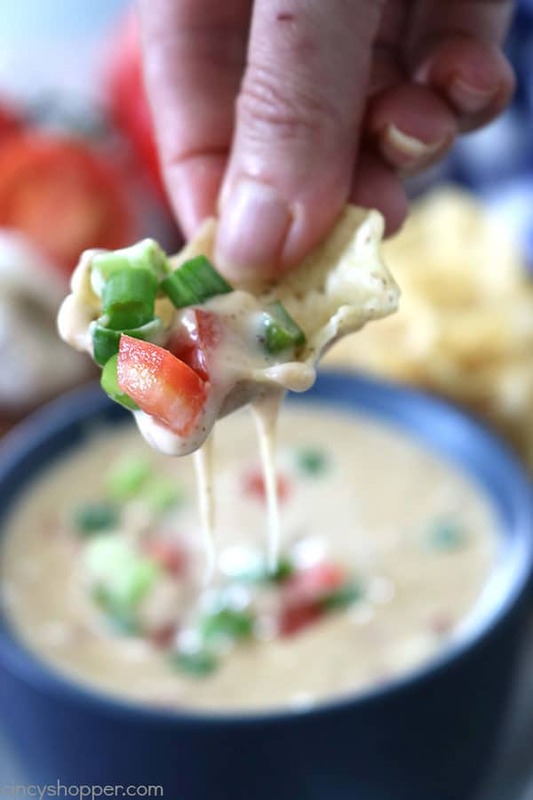 Do you have a favorite taco night dip? 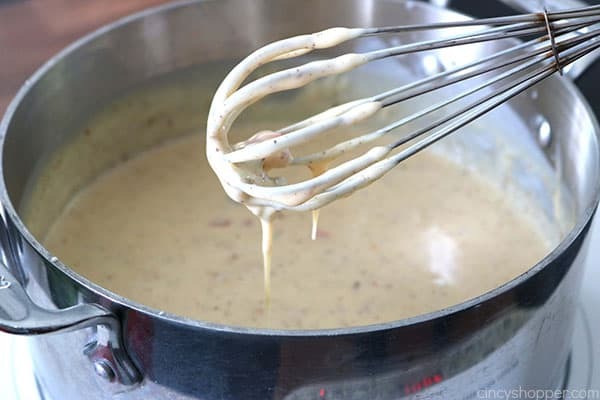 Add half & half to saucepan. Heat over medium heat stirring frequently until almost boiling. 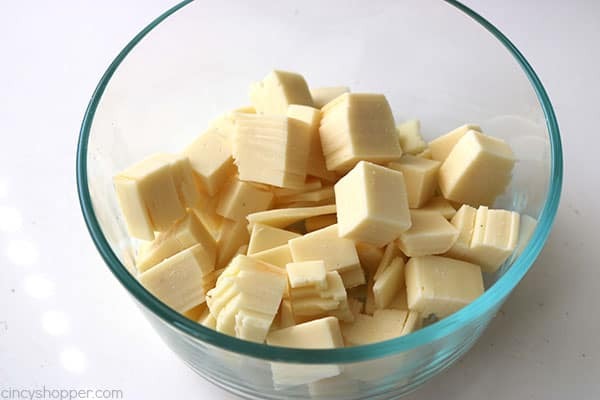 Add cheese in batches stirring until melted. Add spices and stir until blended. 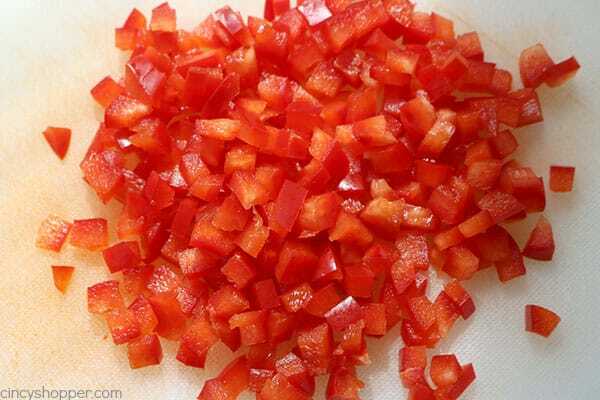 Add jalapenos and red bell pepper and stir until blended. Transfer to serving dish and garnish. That looks delicious! Making tacos on Thursday and I’m adding that to the menu! I could probably eat the whole bowl!